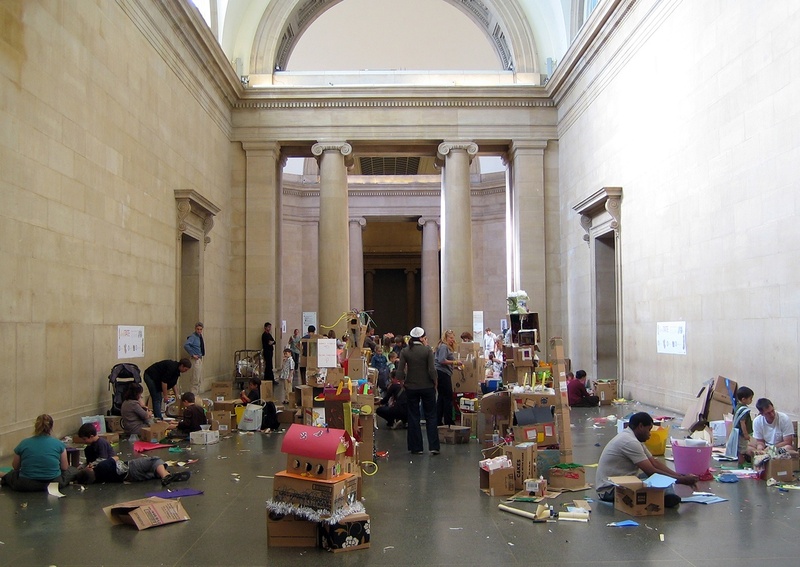 As part of the Tate Gallery’s ‘Secret Tate’ exhibition – a day long opportunity for people to explore the building’s secret spaces and hidden treasures – we created a family activity workshop that focused on the use of recycled cardboard as a building material. During the workshop, each family was given a cardboard box to decorate, creating a diorama with a theme of their choice. Once completed, the boxes were fastened together, creating an interconnected and hidden imaginary city.